Everything you need to know to build and fly rockets with onboard cameras. Includes many detailed plans and photos. Covers 35mm, Super 8 movie cameras, and video. 40 pages. Provides the basics for the three major styles of staging: In-line staging; parallel staging; and parasite staging. Discusses ignition methods and recovery. 20 pages. 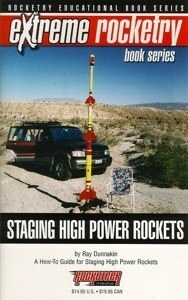 I’ve authored many articles on rocketry over the years. I plan to post a chronological listing of those articles when I get the time. 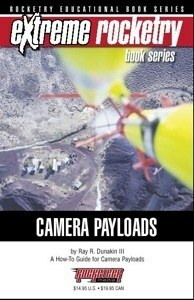 Both of these books were originally published by Rocketeer Media, publishers of Extreme Rocketry magazine. They are now available from ARA Press.